The Apostolic Fathers are a group of early Christian writers who lived and wrote in the second half of the 1st century and the first half of the 2nd century. They are acknowledged as leaders in the early Church, but their writings were not included in the canon of the New Testament. They include Saint Clement of Rome, Saint Ignatius of Antioch, and Saint Polycarp of Smyrna. The term “Apostolic Fathers” has been used since the 17th century, emphasising that these authors were thought of as the generation that had personal contact with the Apostles. They provide a link between the Apostles who knew Christ and the later generation of Christian apologists, defenders of Orthodox authority and developers of doctrine known as the Church Fathers. Their writings shed light on the emerging traditions and organisation of the infant Church, and provide first-hand accounts of the Early Church. The Apostolic Fathers include Saint Clement of Rome (ca 30 to ca 100), Saint Ignatius of Antioch, and Saint Polycarp of Smyrna. In addition, the Didache and the Shepherd of Hermas are usually placed among the writings of the Apostolic Fathers, although their authors are unknown. The writings of the Apostolic Fathers are in a number of genres. For example, the writings of Clement of Rome are letters or Epistles. Others recall historical events, such as the Martyrdom of Polycarp, while the Didache is a guide for ethical and liturgical practice. The Apostolic Fathers present a picture of an organised Church made up of different cross-cultural, sister churches sharing one apostolic tradition. Their ecclesiology, Judaic values, and emphasis upon the historical nature of Christ stand in contrast to the ideologies of more paganised Christianities, on the one hand, and Christianities that excluded the Gentiles on the other. The term “Apostolic Fathers” first appears in 1672 in the title of a work by Jean-Baptiste Cotelier, SS. Patrum qui temporibus apostolicis floruerunt opera (Works of the holy fathers who flourished in the apostolic times). Later editions abbreviated this title to Bibliotheca Patrum Apostolicorum (1699). Since then the term has been universally used, although it can be difficult to make a clear distinction between the Apostolic Fathers and Church Fathers in general. Today, we only have some of the writings by the Apostolic Fathers. Other writings did not survive and exist only as references, in quotations and excerpts, or as literal fragments of parchment or papyrus. Other writings said to be quotes from the Apostolic Fathers are often stylistically different and sometimes address issues that are not addressed in the New Testament or in the surviving writings of the Apostolic Fathers. The writings from the early Christian tradition not included with the Apostolic Fathers include the writings of the desposyni, the apocrypha, including apocryphal gospels, much of the pseudepigrapha, and the writings of unorthodox leaders or heretics, including Marcion and Valentinius. The apocryphal gospels and pseudepigrapha are, for the most part, later writings that seem to have less historical accuracy than the canonical scriptures. Much of what we known about the heretics comes from the Apostolic Fathers and Church Fathers. This information was once thought be highly inaccurate or biased, but the discovery of the Nag Hammadi library validates most of that information. Within the tradition, but after the Apostolic Fathers proper, authors including Justin Martyr, Irenaeus, and Tertullian are considered Apologists. A small number of other authors, known only in fragments, such as Papias and Hegesippus, are more concerned with the apostolic continuity of the individual churches and their histories. Although some minor opinions expressed by the Apostolic Fathers are no longer considered entirely orthodox, their writings provide important data regarding a strain of early Christianity which remains largely true to its Jewish roots while including both non-Jewish and Jewish believers as full members of the Church. ● II Clement (not written by Clement, but still an early writing). ● The Epistle of Barnabas. ● Seven short Epistles of Ignatius (the longer forms of these Epistles, and those beyond the seven, are widely considered later emendations or forgeries). ● The Epistle of Polycarp. ● The Epistle about Polycarp’s Martyrdom. ● The Shepherd of Hermas. Some collections also include the Epistle of Diognetus, although this is hard to date and is probably of a later date. In addition, fragments from the writings of Papias and Hegesippus have survived as quotations by later writers, and one short fragment by Quadratus of Athens. Most of these works were originally written in Greek, and have been published in English translations, including those by JB Lightfoot, MW Holmes and M. Staniforth and Andrew Louth. Clement, who lived at the end of the first century (ca 96 AD), is listed as one of the early successors of the Apostle Peter as Bishop of Rome, or as the fourth Pope. He is usually cited in debates about papal primacy, although there is no evidence for a monarchical style of episcopacy in Rime at such an early date. Indeed, his early letter to the Church of Corinth is important not because it settles the divisions within that church but more for the wisdom and love he displays. He shows the way to unity is through humility and charity, and that church order is not political but sacramental. Clement’s Epistle, I Clement, was written ca 96 and was copied and widely read. It is the earliest Christian Epistle outside the New Testament. Although Clement is not identified in the epistle as its author, tradition has held him to be the author. Tradition identifies Clement as the fourth Bishop of Rome, although it is not clear that he was bishop at the time he wrote this letter. The epistle is addressed from “the Church of God which is transiently sojourning in Rome” to “the Church of God which is transiently sojourning in Corinth” (see Staniforth and Louth, pp 23 and 50 n. 1). Claiming to be inspired by the Holy Spirit, the author quotes extensively from the Scriptures and appeals to the shared apostolic tradition in his call to the Christians of Corinth to maintain harmony and order. I Clement dates from ca 96 and ranks with the Didache, the Epistle of Barnabas, and the Seven Epistles of Ignatius of Antioch as one of the earliest – if not the earliest – of the surviving Christian documents outside the canon of the New Testament. Nowhere in I Clement is Clement named as the author. Rather, the epistle is written with its opening line in the name of “the Church of God which is transiently sojourning in Rome” to “the Church of God which is transiently sojourning in Corinth.” However, scholarly consensus overwhelmingly favours its authenticity. The traditional date for I Clement is at the end of the reign of Domitian, about 96 AD, because the phrase “our recent series of unexpected misfortunes and set-backs” (1: 1) is taken as a reference to persecutions in Rome under Domitian ca 93 AD. A confirmation of the date is provided by the fact that the church at Rome is called “ancient,” the presbyters installed by the Apostles have died (44: 2), and a second generation of presbyters has also passed away (44: 3). The letter was prompted by a dispute in Corinth, which led to the removal from office of several presbyters. Since none of the presbyters was charged with moral offences, the Church of Rome charges that their removal is high-handed and unjustifiable. I Clement is lengthy – twice as long as the Epistle to the Hebrews – and includes several references to the Old Testament, including the Book of Judith. The Epistle demonstrates a familiarity with many books of both the Old and New Testaments. It repeatedly refers to the Old Testament as Scripture and quotes both Christ and the Apostle Paul as sources of the same spiritual authority inspired by the Holy Spirit with which I Clement claims to be inspired. The survival of I Clement within the living tradition of the persecuted, pre-Constantinian Church and the high esteem in which the book was held reveals how I Clement stands firmly within the tradition of the undivided Church. The epistle was publicly read from time to time in the Church at Corinth, and by the 4th century this usage had spread to other churches. In the 5th century, I Clement was included in the Codex Alexandrinus along with the Old and New Testaments, implying canonical status. However, this canonical status was lost when more stringent qualifications for scriptural canonicity were applied. Although known from antiquity, the first complete copy of I Clement was only recovered in 1873, 400 years after the Fall of Constantinople, when the Greek Orthodox scholar Philotheos Bryennios found it in the library of the Patriarch of Jerusalem in the Codex Hierosolymitanus, which had once been in Constantinople and was written in 1056. This work in Greek was translated into at least three languages in ancient times: a translation from the 2nd or 3rd century was found in an 11th century manuscript in the seminary library of Namur, Belgium, and published in 1894; a Syriac manuscript, now at Cambridge University, was found in 1876 and translated in 1899. I Clement is primarily about Christian ministry. For the author, this has been established by Christ and handed down from the Apostles, along with the Gospel and Christian teaching (42). In Chapter 42, the ministers are described as “bishops and deacons.” In other places, however, Clement uses the term “presbyters.” The Christian ministry clearly stands in an apostolic succession, but the position of the bishop within this ministry lacks the clarity found in later Christian translations. Chapter 46 and Chapter 58 include interesting Trinitarian phrases: “Have we not all the same God, and the same Christ? Is not the same Spirit of grace shed upon us all?” And in Chapter 58 we read: “As surely as God lives, as Jesus Christ lives, and the Holy Ghost also …” – this second passage was quoted by Basil the Great in his On the Holy Spirit. Apart from Matthew 27: 19 and II Corinthians 13: 13, such clear Trinitarian language is not found in the New Testament. This second invocation of the Trinity in I Clement leads quickly to a striking liturgical conclusion that prays for peace, the peace that flows from obedience to God, the peace that brings with it healing of all human afflictions (I Clement 59). II Clement was long believed to have been an epistle to the Church in Corinth written by Clement of Rome in the late 1st century. However, Eusebius says Clement “has left us one recognised epistle” (Ecclesiastical History, 3.16). The earliest external reference to II Clement is by Eusebius in his Ecclesiastical History in the early 4th century. “It must not be overlooked that there is a second epistle said to be from Clement’s pen, but I have no reason to suppose that it was well known like the first one, since I am not aware that the Early Fathers made any use of it. A year or two ago other long and wordy treatises were put forward as Clement’s work. They contain alleged dialogues with Peter and Apion, but there is no mention whatever of them by early writers, nor do they preserve in its purity the stamp of apostolic orthodoxy.” (Ecclesiastical History, 3.38). Most modern scholars now believe II Clement is a sermon written ca 140-160 by an anonymous author who was neither the author of I Clement nor Clement of Rome. Nevertheless, it is still generally referred to as II Clement. II Clement appears to be a transcript of a sermon preached possibly in Corinth. For example, in Chapter 19 the speaker announces that he will read aloud from scripture. While an epistle would typically begin by introducing the sender and recipient, II Clement starts by addressing “Brethren,” and then goes on directly to the sermon. If it is a sermon, II Clement is the earliest surviving Christian sermon, apart from those in the New Testament. Despite their pagan background, the speaker and listeners in II Clement appear to consider the Jewish texts to be Scripture – the speaker quotes repeatedly from Isaiah and interprets the text. The speaker also regards the words of Christ as scripture – for example, 2: 4 quotes a saying of Christ that has parallels in Mark 2: 17, and Matthew 9: 13. In addition to the canonical literature, the author appears to have had access to Christian writings or oral tradition aside from those in the New Testament. Some quotes attributed to Chrust are found only here – for example, 4: 5. In 5: 2-4, the author quotes a saying of Christ that is partially found in the New Testament, but the version in II Clement is substantially longer than the version in the New Testament. In the 20th century, a manuscript fragment was discovered that suggests this saying is a quote from the Gospel of Peter. Similarly, II Clement 12 appears to quote the Gospel of Thomas. Saint Ignatius of Antioch (ca 35-110), along with Clement of Rome and Polycarp of Smyrna, is one of the principal Apostolic Fathers. Ignatius (also known as Theophorus, “God-bearer”) was a student or disciple of Saint John the Divine, the Apostle. Pious tradition also says he was one of the children Christ took in his arms and blessed. He was the third Bishop or Patriarch of Antioch, after Saint Peter and Saint Evodius, who died ca AD 67. (Eusebius, Ecclesiastical History, 2.3.22). Theodoret makes his apostolic succession even more immediate, saying Saint Peter himself appointed Ignatius as Bishop of Antioch (Dial. Immutab., I.4.33a). Ignatius was arrested by the authorities and transported to Rome under trying conditions: “I have already been finding myself in conflict with beasts of prey by land and by sea, by night and by day, the whole way from Syria to Rome; chained as I am to half-a-score of savage leopards (in other words, a detachment of soldiers), who only grow more insolent the more gratuities they are given.” – Letter to the Romans, 5. On his way to Rome and his death, Ignatius encouraged Christians who flocked to meet him. During that journey, he also wrote a series of six letters to the churches in the regions and one to a fellow bishop. These letters, which have been preserved as an example of the theology of the earliest Christians, are written to the churches in Ephesus, Magnesia, Tralles, Rome, Philadelphia, Smyrna, and to Polycarp, Bishop of Smyrna. The first were written at Smyrna and the other three were written at Troas. From there, he travelled by sea to Neapolis in Macedonia, and then to Philippi and on to Rome. These letters were preserved by Polycarp and became well known in the early Church. By the 5th century, Saint Polycarp’s collection had been enlarged by spurious letters, and the original letters had been changed with interpolations, created to posthumously enlist Ignatius in the theological disputes of the day. A detailed but spurious account of the arrest of Ignatius, his sufferings and his martyrdom in the Martyrium Ignatii is presented as an eyewitness account for the church of Antioch, as if written by companions of Ignatius, Philo of Cilicia, deacon at Tarsus, and Rheus Agathopus, a Syrian. Although Archbishop James Ussher (1581-1656) of Armagh regarded it as genuine, no part of the Martyrium is without questions. The Martyrium presents the confrontation of between Ignatius and Trajan at Antioch and many details of his long voyage to Rome. Saint Ignatius died as a martyr in the arena. After his martyrdom, his body was taken back to Antioch by his companions. He was first buried outside the city gates, then removed by the Emperor Theodosius II to the Tychaeum, or Temple of Tyche, which was converted into a church dedicated to Ignatius. In 637, his relics were brought to Rome and interred in the Church of San Clemente (Saint Clement). The important topics Ignatius addresses in his letters include ecclesiology, the sacraments and the office and role of bishops. He identifies the local church hierarchy made up of bishop, presbyters, and deacons and claims to have spoken in some of the churches through the inspiration of the Holy Spirit. He is the second writer after Clement to mention Saint Paul’s epistles. “Wherever the bishop appears, there let the people be; as wherever Jesus Christ is, there is the Catholic Church. It is not lawful to baptise or give communion without the consent of the bishop. On the other hand, whatever has his approval is pleasing to God. Thus, whatever is done will be safe and valid.” – Letter to the Smyrnaeans 8. “For let nobody be under any delusion; there is judgment in store even for the hosts of heaven, the very angels in glory, the visible and invisible powers themselves, if they have no faith in the blood of Christ. Let him who can absorb this truth. High position is no excuse for pride; it is faith and love that are everything, and these must come before all else. But look at the men who have those perverted notions about the grace of Jesus Christ which has come down to us, and see how contrary to the mind of God they are … They even abstain themselves from the Eucharist and the public prayers, because they will not admit that the Eucharist is the self-same body of our Saviour Jesus Christ which suffered for our sins, and which that Father in his goodness afterwards raised up again. Consequently, since they reject God’s good gifts, they are doomed in their disputatiousness.” – Letter to the Smyrnaeans 6: 1–7: 1 (Staniforth and Louth, p. 102). “I am fain for the Bread of God, even the flesh of Jesus Christ, who is the seed of David; and for my drink I crave that Blood of His which is love imperishable.” – Letter to the Romans, 7 (Staniforth and Louth, p. 87). “Make certain, therefore, that you all observe one common Eucharist; for there is but one Body of our Lord Jesus Christ, and but one cup unto union with His Blood, and one single altar of sacrifice – even as also there is but one bishop, with his clergy and my own fellow servitors the deacons. That will ensure that all your doings are in full accord with the will of God.” – Letter to the Philadelphians, 4, 1 (Staniforth and Louth, p. 94). “Never allow yourselves to be led astray by false teachings and antiquated and useless fables. Nothing of any use can be got from them. If we are still living in the practice of Judaism, it is an admission that we have failed to receive the gift of grace ... We have seen how former adherents of ancient customs have since attained to a new hope; so that they have given up keeping the Sabbath, and now order their lives by the Lord’s Day instead (the Day when life first dawned for us, thanks to Him and His death … though some deny it ... how can it be possible for us to give Him no place in our lives? ... To profess Jesus Christ while continuing to follow Jewish customs is an absurdity. The Christian faith does not look to Judaism, but Judaism in Christianity.” – Letter to the Magnesians, 8: 1, 9: 1-2, 10: 3 (Staniforth and Louth, pp 72-73). 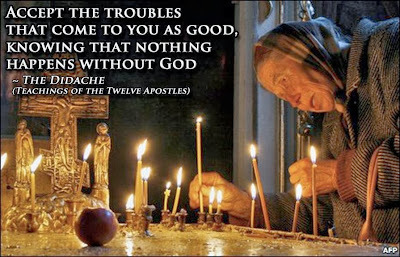 He is responsible for the first known use of the Greek word katholikos (καθολικός), meaning “universal,” to describe the church, writing: “Where the bishop is to be seen, there let all his people be; just as wherever Jesus Christ is present, we have the catholic Church. Nor is it permissible to conduct baptisms or love-feasts without the bishop. On the other hand, whatever does have his sanction can be sure of God’s approval too. This is the way to make certain of the soundness and validity of anything you do.” – Letter to the Smyrnaeans, 8 (Staniforth and Louth, p. 103). It is from this word katholikos that the word “catholic” is derived. When Ignatius wrote his Letter to the Smyrnaeans, he used the word “catholic” as if it were already in use to describe the Church, leading many to conclude that the term “Catholic Church” with its ecclesial connotations was in use as early as the last quarter of the first century. Martyrdom is a theme that is uppermost for Ignatius throughout much of his writings. His expression of his desire for martyrdom may seem very strong and graphic today, but an examination of his soteriology shows he regarded salvation as being free from the fear of death and able to bravely face martyrdom. He begs the Church in Rome not to interfere or intercede on his behalf, so that he may “imitate the Passion of my God” (Letter to the Romans, 6: 3). He refers to Christ more than once elsewhere as Θεος (theos). The enduring of martyrdom is the final conformation to Christ (Letter to the Romans, 5: 1) – and so to the full measure of humanity (Letter to the Romans, 6: 2). The most famous quote from Ignatius, however, comes from his Letter to the Romans: “I am writing to all the churches and assuring them that I am truly in earnest about dying for God – if only you yourselves put no obstacles in the way. I must implore you to do me no such untimely kindness; pray leave me to be a meal for the beasts, for it is they who can provide my way to God. I am His wheat, ground fine by the teeth of the lions’ teeth to be made purest bread for Christ.” – Letter to the Romans, 4 (Staniforth and Louth, p. 86). Saint Polycarp of Smyrna (ca 69–ca 155) was a 2nd century Bishop of Smyrna (now Izmir in Turkey), one of the Seven Churches of the Book of Revelation. With Clement of Rome and Ignatius of Antioch, Polycarp is one of the Apostolic Fathers. It is recorded that “he had been a disciple of John.” According to Tertullian, Polycarp was appointed Bishop of Smyrna by John the Apostle (De Praescriptione 32). Eusebius insists on Polycarp’s apostolic connection with the author of the Fourth Gospel and the Book of Revelation. He was a companion of Papias, another “hearer of John,” and it was to Polycarp that Ignatius of Antioch addressed one of his letters, as well as mentioning him in both his Letter to the Ephesians and his Letter to the Magnesians. Polycarp’s famous pupil was Irenaeus, for whom Polycarp was a link to the apostolic past (Staniforth and Louth, p. 116). Irenaeus tells how and when he became a Christian, and in his letter to Florinus says he saw and heard Polycarp personally in lower Asia. In particular, Irenaeus says he heard the account of Polycarp’s discussion with John the Evangelist and with others who had seen Christ. Irenaeus says Polycarp was converted to Christianity by Apostles, was consecrated a bishop and communicated with many who had seen Christ. He repeatedly emphasises the very great age of Polycarp. Polycarp visited Rome when his fellow Syrian, Anicetus, was Bishop of Rome, in the 150s or 160s. However, he failed to persuade Anicetus and the Church in Rome to celebrate Easter on 14 Nisan, as in the Eastern Church. For his part, Polycarp rejected the counter suggestion that the East should use the Western date for Easter. Irenaeus states (3.3) that during Polycarp’s visit to Rome his testimony converted many of the disciples of Marcion and Valentinus. In the past, Polycarp’s visit to Rome to meet Anicetus has been used to support Papal claims. However, Polycarp did not accept the authority of the Bishops of Rome to change Passover; instead, they agreed to disagree, both believing their practice to be Apostolic (Eusebius, Ecclesiastical History, 5.24.16). Polycarp died a martyr’s death after the people of Smyrna demanded his execution as a Christian. The story is told that the flames built to kill him refused to burn him and that when he was stabbed to death, so much blood issued from his body that it quenched the flames around him. In the Martyrdom, Polycarp indicates his age on the day of his death: “Eighty and six years have I served Him” (Martyrdom 9, Staniforth and Louth, p. 128). If this means he was then aged 86, his family had accepted Christianity while he was an infant. His martyrdom is of particular importance in understanding the position of the Church in the Empire at the time. While the persecution is supported by the local proconsul, the author of the account noted the bloodthirstiness of the crowd in their calls for the death of Polycarp. Additionally, the account demonstrates the complex Roman attitude towards Christianity: the Christians are given the opportunity to recant and are not punished immediately as confessed criminals. The date of Polycarp’s death is disputed. Eusebius places it in the reign of Marcus Aurelius, 161-180 (Eusebius, Ecclesiastical History, 4.15). However, a later addition to the Martyrdom of Polycarp dates his death to Saturday 23 February when Statius Quadratus was proconsul, which was 155 or 156 (Martyrdom 21). The earlier dates better fit the tradition of his association with Ignatius of Antioch and John the Evangelist. However, the addition to the Martyrdom cannot be considered reliable on its own merits. Other evidence puts Polycarp’s death at the end of the 160s or even later. Archbishop Ussher, for example, calculated it at 169. Lightfoot argued for the earlier date of Polycarp’s death, although other scholars disagree (see Staniforth and Louth, pp 117-118). Polycarp’s only surviving work is his Letter to the Philippians, a mosaic of references to the Greek Scriptures. The Letter to the Philippians and an account of The Martyrdom of Polycarp, which takes the form of a circular letter from the church of Smyrna to the churches of Pontus, form part of the collection of the Apostolic Fathers. The Martyrdom is one of the earliest genuine accounts of martyrdom, and one of the very few genuine accounts from the age of persecutions. The chief sources of information about Polycarp are the Epistles of Ignatius, including one to Polycarp; Polycarp’s Epistle to the Philippians; passages in Irenaeus’ Adversus Haeresis; and the Letter to the Smyrnaeans, recounting the Martyrdom of Polycarp. The Didache (Greek, Διδαχὴ, "Teaching”) is a brief early Christian treatise, dated by most scholars between the year 90 and the early 2nd century. It contains instructions for Christian communities. 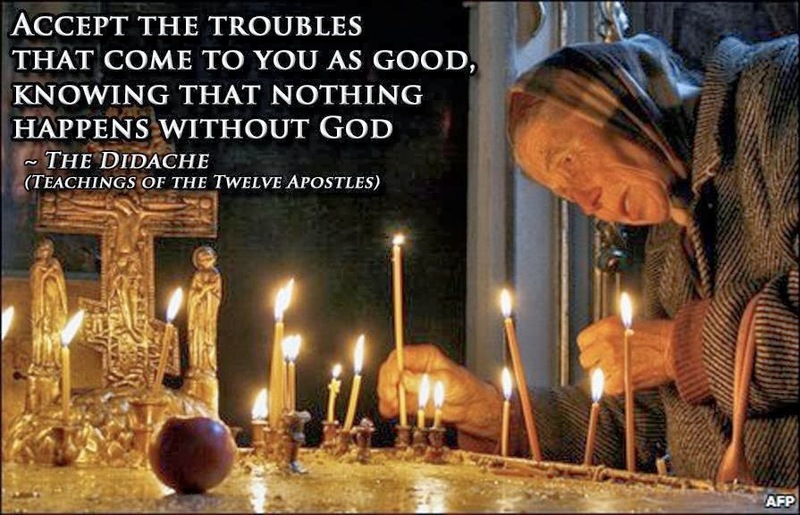 While the manuscript is commonly referred to as the Didache, this is short for the title used by the Church Fathers, The Teaching of the Twelve Apostles (Διδαχὴ τῶν δώδεκα ἀποστόλων). A fuller subtitle is found next in the manuscript: The Teaching of the Lord to the Gentiles by the Twelve Apostles (Διδαχὴ κυρίου διὰ τῶν δώδεκα ἀποστόλων τοῖς ἔθνεσιν). The text, parts of which may have constituted the first written catechism, has three main sections dealing with Baptism and the Eucharist, and Church organisation. Some of the Church Fathers regarded the Didache as part of the New Testament. It was considered by some of the Church Fathers as part of the New Testament but rejected as spurious by others. Eventually, it was not accepted into the canon of the New Testament, except in the Ethiopian Orthodox Church. Indications of the text being from the 1st century include the simplicity of the baptismal rite, the simplicity of the Eucharist, in comparison with the elaborate Eucharistic prayer in I Clement (I Clement 59-61), the permission to prophets to extemporise their Eucharistic thanksgiving, and the immediate expectation of the second coming of Christ. The Didache is mentioned by Eusebius as the Teachings of the Apostles following the books recognised as canonical (Eusebius, Ecclesiastical History, 3.25). Athanasius (367) lists the Didache among the Deuterocanonical books. The Shepherd of Hermas seems to reflect it, and Irenaeus, Clement of Alexandria and Origen also seem to use the work, and there are echoes of the Didache in Justin Martyr, Tatian, Theophilus of Antioch, Cyprian and Lactantius. Once considered lost, the Didache was rediscovered in 1883 in the library in Constantinople belonging to the Patriarch of Jerusalem by Philotheos Bryennios, the Greek Orthodox Metropolitan Bishop of Nicomedia, in the Greek Codex Hierosolymitanus, written in 1053, from which he had already published the full text of the Epistles of Clement (1875). Shortly after the initial publication by Bryennios, Otto von Gebhardt identified a Latin manuscript in the Abbey of Melik in Austria as containing a translation of the first part of the Didache. Later scholars now believe that to be an independent witness to the tradition of the Two Ways section. In 1900, J. Schlecht found another Latin translation of chapters 1-5, with the longer title, omitting “twelve,” and with the rubric De doctrina Apostolorum. Coptic and Ethiopian translations have also been discovered since the first publication by Bryennios’ original publication. The second part (chapters 7-10) begins with an instruction on baptism, which is to be conferred “in the Name of the Father, and of the Son and of the Holy Spirit,” in “living water” (that is, natural flowing water), if it can be had – if not, in cold or even warm water. Fasts are not to be on Monday and Thursday “with the hypocrites” – presumably a reference to non-Christian Jews – but on Wednesday and Friday (Didache 8). Nor must Christians pray with their Judaic brethren; instead they shall say the Lord’s Prayer three times a day. The text of the prayer is not identical to the version in Saint Matthew’s Gospel, and it is given with the doxology “for thine is the power and the glory for ever,” while all but a few manuscripts of Saint Matthew’s Gospel have this interpolation with “the kingdom and the power,” etc. The Shepherd of Hermas (Ποιμὴν τοῦ Ἑρμᾶ) was written in Greek in Rome in the second century. It was popular in the early Church, had great authority in the second and third centuries, and was even considered Scriptural by some early Church Fathers, including Irenaeus and Tertullian. It was bound with the New Testament in the Codex Sinaiticus, and it was listed between the Acts of the Apostles and the Acts of Paul in the stichometrical list of the Codex Claromontanus. An early Latin translation was once claimed as the work of the original author, though this is disputed this. However, only the Latin version has been preserved in full, and the last one-fifth of the text is missing from the Greek version. The evidence for the place and date of this work are found in the language and theology of the Shepherd. The reference to Clement I suggests a date between 88 and 97 for at least the first two visions. Since Paul sent greetings to Hermas, a Christian of Rome (Romans 16: 14), Origen suggested that this Hermas was the author of the Shepherd. However, textual criticism, the theology, and the author’s apparent familiarity with Revelation and other Johannine texts, put the date of composition in the 2nd century. Three ancient witnesses, one of whom claims to be contemporary, described Hermas was the brother of Pius I, who was Bishop of Rome not earlier than 140-155, which corresponds to the date range offered by Lightfoot (1891). The witnesses are the Muratorian Fragment, written ca 170, the Liberian Catalogue of Popes, and a poem written against Marcion in the 3rd or 4th century. The Shepherd of Hermas comprises five visions granted to Hermas, a former slave. This is followed by 12 mandates or commandments and 10 similitudes or parables. It relies on allegory and pays special attention to the Church, calling the faithful to repent of the sins that have harmed it. Despite its grave subjects, the Shepherd is written in a very optimistic and hopeful tone, like most early Christian works. As Hermas was on the road to Cumae, he had a vision of Rhoda, who was presumably dead. She told him that she was his accuser in heaven, on account of an unchaste thought the (married) narrator had once had concerning her, though only in passing. He was to pray for forgiveness for himself and all his household. He is consoled by a vision of the Church in the form of an aged woman, weak and helpless from the sins of the faithful, who tells him to do penance and to correct the sins of his children. Subsequently he sees her made younger through penance, yet wrinkled and with white hair; then again, as quite young but still with white hair; and lastly, she shows herself as glorious as a Bride. This allegorical language continues in the other parts of the Shepherd. In the second vision, she gives Hermas a book, which she afterwards takes back in order to add to it. The fifth vision, which is represented as taking place 20 days after the fourth, introduces “the Angel of repentance” in the guise of a shepherd, from whom the whole work takes its name. He delivers to Hermas a series of precepts (mandata, entolai), which form an interesting development of early Christian ethics. One point which deserves special mention is the assertion of a husband’s obligation to take back an adulterous wife on her repentance. The eleventh mandate, on humility, is concerned with false prophets who desire to occupy the first seats (that is to say, among the presbyters). Some have seen here a reference to Marcion, who came to Rome ca 140 and desired to be admitted among the priests. After the mandates, there are 10 similitudes (parabolai) in the form of visions that are explained by the angel. Similitude 9, the longest of these, is an elaboration of the parable of the building of a tower, which had formed the matter of the third vision. The tower is the Church, and the stones of which it is built are the faithful. But in the third vision it looked as though only the holy are a part of the Church. In Similitude 9, it is pointed out that all of the baptised are included, though they may be cast out for grave sins, and can be readmitted only after penance. Canon Patrick Comerford is Lecturer in Anglicanism, Liturgy and Church History, the Church of Ireland Theological Institute, and an Adjunct Assistant Professor, Trinity College Dublin. This lecture on 26 January 2015 was part of the Year I MTh module, Introduction to Patristics.